Chinese smartphone manufacturer Xiaomi is all set to launch its new smartphone Mi Mix 3 on 25 October in China. A teaser leaked earlier this month had revealed that the Xiaomi Mi Mix 3 launch venue will be the Nanjing Sports Centre. The company's product marketing director for mobile phones, Zhi Zhiyuan, has outed another tidbit. The Mi Mix 3's screen resolution will be 1080x2340, making for a 19.5:9 aspect ratio. 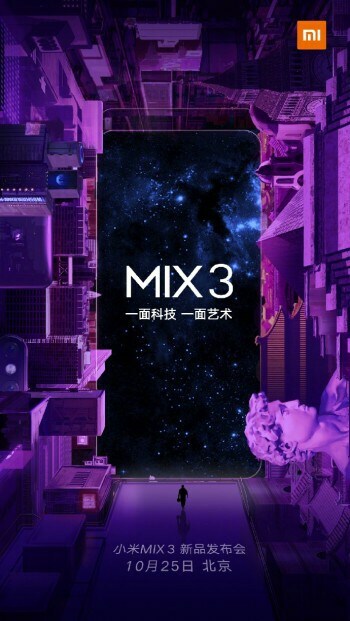 A lot of details around the Mi Mix 3 have been teased and leaked in the past few weeks and months. 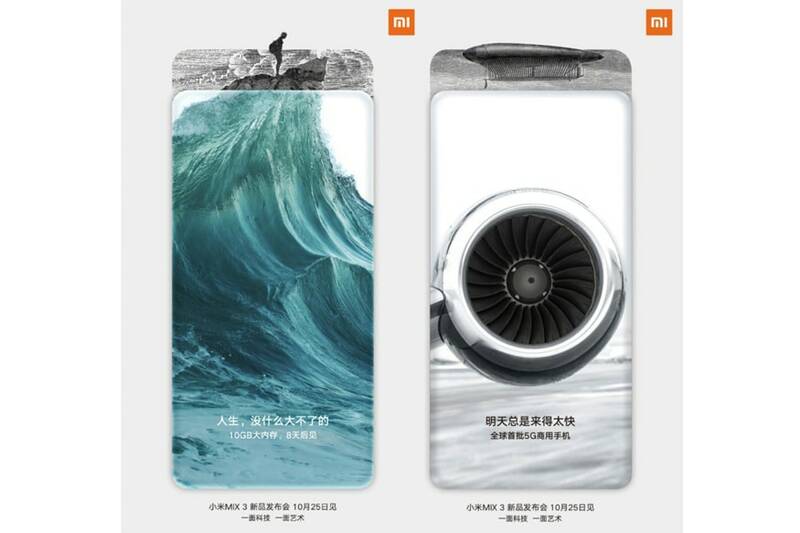 Screenshots of the Mi Mix 3 marketing material shared by Zhiyuan suggest that the phone will have 10GB RAM, confirming what was earlier teased by Xiaomi. The smartphone is expected to come with 5G support thanks to a 5G+ logo teased on the status bar of the handset. The next generation cellular technology will ensure blazing fast speeds and the Mi Mix 3 will be ready for that. Next, Xiaomi President Lin Bin teased a camera slider. This latest Xiaomi Mi Mix 3 leak once again also points to the presence of 10GB of RAM on the phone. The 6GB RAM/64GB storage (Standard model) will be priced at $510 while the Ceramic Edition will cost $660. The 6GB RAM/128GB variant will cost $555 for Standard model and $705 for Ceramic Edition. The 8GB/128GB option will be listed at $600 and $750 for Standard and Ceramic Editions respectively. Lastly, the 8GB/256GB variant will cost $645 (Standard model) and $795 for the Ceramic Edition.